The latest quilt from the Eviction series prepped to be tied. 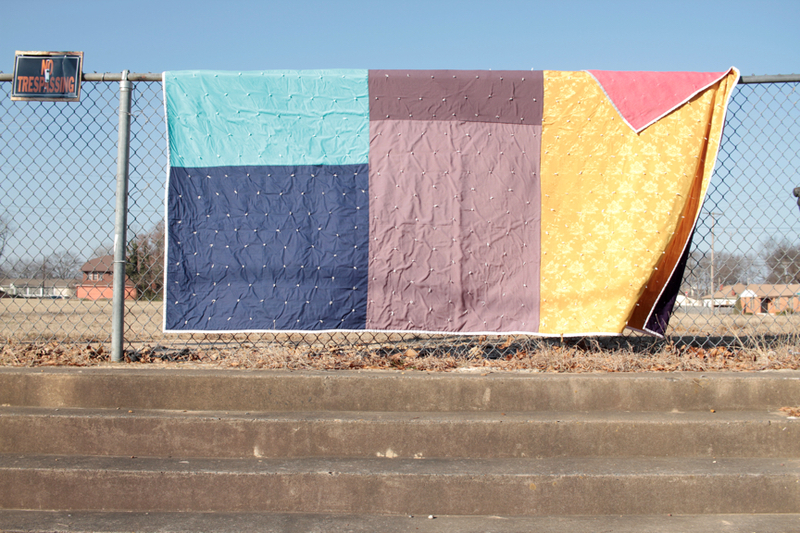 I finished a new quilt in the Eviction series this week. This is the largest one to date – almost 8 ft. x. 10 ft. – and two sided. It came from an eviction of someone who obviously sewed, because I found a box of fabric yardage. Rather than piece it out, I decided to leave the fabric in the largest sections possible. Full photos of both sides to come soon.